Boys and girls. 4 players needed to form beginner teams. 6 players needed for U10 Challenger or U12 Rising Star teams. Beginner Leagues: 4 lines of singles for Beginner Leagues. Non-gender specific. U10 Challenger* and U12 Rising Star Leagues: 1 line of boys singles, 1 lines of girls singles, 1 line of non-gender specific singles, 2 lines of non-gender specific doubles. Option to add one line of exhibition singles or doubles. 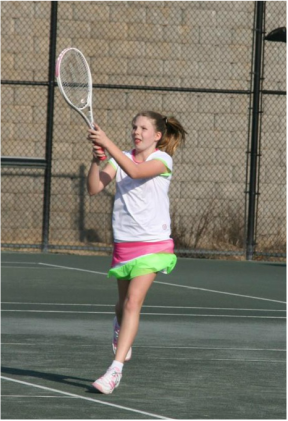 ​* U10 Challenger teams must have three boys and three girls qualified with match play to advance to State JTT tournament. 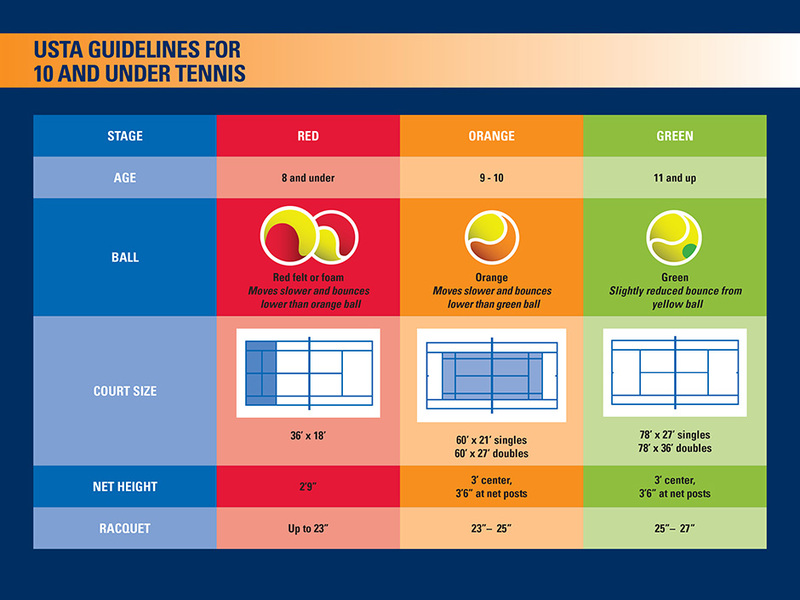 For more information on the green ball tennis format, check out 10andundertennis.com.